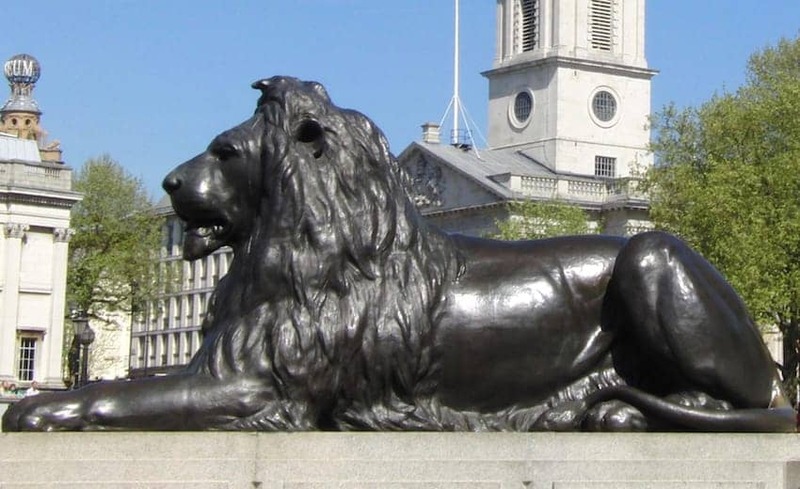 The famous bronze statues of four lions in Trafalgar Square are commonly known as the 'Landseer Lions' after the artist who created them. Edwin Landseer, the famous painter known for his dogs and horses was asked to design the lions in 1858 and after a long period of study they were finally completed a decade later. The lion statues are not identical, though their sitting positions are the same, they differ in the detail of mane and face. Their positions, pointing outwards at the corners of a square, mean that the lions can be appreciated in front of a variety of splendid backdrops.